The Ron Van Dam Show can be heard here at any time. Enjoy a strange mix of satire, information, interviews, grumpiness, constipation, and love. Tori LaGarde joins Ron. The discussion gets poliical for a while. Other topics: Road Rage or FriendlyTraffic? Pains Go Away? Mailing Live Chickens? Is The Casket Open? Topics: My Chinese Restaurant Law Suit, V8 Juice Investigation..... Guest: Author Gina Maria DiNicolo "Blood Stripe"
Topics: Trump The Angry Comedian, NIckel and Dime Me.... 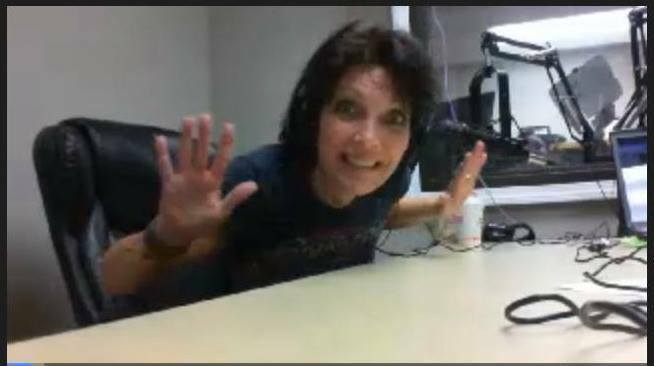 Guest: Dr.Jean Kristeller "The Joy of Half a Cookie"
Ron goes on a political rant about Donald Trump. Copyright 2018 Televisuals / New England Broadcasting . All rights reserved.